A recent Yahoo! Japan search for “sofuto pawa,” the Japanese translation for soft power, yielded nearly two and a half million entries. While this number indicates the term’s popularity in Japan, it tells us little about how successful Tokyo has been in employing soft power throughout the Western Pacific. As I discuss in my new book, Japan and China as Charm Rivals: Soft Power in Regional Diplomacy, while Japan’s soft power in China and South Korea remains low it has been far more successful in boosting its image in Southeast Asia. Nonetheless, Japan’s soft power in the region has been limited to economic issues, and as Japan’s economy has remained stagnate, so too has its soft power. Although China’s recent assertiveness presents an opportunity for Japan to revamp its image among ASEAN members, it’s unlikely that Tokyo will successfully seize this opportunity. The extent of the region’s grievances became evident in 1974 when then-Prime Minster Tanaka Kakuei was greeted by numerous protesters during his visits to Bangkok and Jakarta. Although Tanaka himself dismissed the protesters as people trying to scapegoat Tokyo for their local problems, his intra-party rival Fukuda Takeo disagreed. 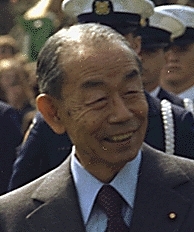 Upon becoming Prime Minister, Fukuda decided to change course, starting with a landmark speech to the Filipino parliament in 1977. Even today, this speech is seen as the beginning of Japan’s charm offensive towards the region, and the principles outlined in the speech are known as the Fukuda Doctrine. Japanese leaders rarely give emotional speeches but Fukuda’s speech was an exception. Admitting suspicions and hostilities on the ground, Fukuda passionately pledged that Japan would try and build a “heart-to-heart” relationship with Southeast Asia. To that end, Fukuda pledged that Japan would mobilize all diplomatic resources – political, social, cultural, as well as economic. Even before the speech, however, Fukuda had begun courting the region. As foreign minister in 1972, for instance, Fukuda recognized Japan’s policy toward Southeast Asia was skewed toward economic issues. He therefore became a leading proponent of the Japan Foundation, a semi-governmental organization in charge of fostering cultural, social, and academic exchanges, and Southeast Asia became a major target for the Foundation’s work. Fukuda’s 1977 trip also led to the founding of the ASEAN Cultural Fund, a Japanese organization that offered 5 billion yen (US$63.6 million) to foster cultural exchanges within ASEAN as well as between ASEAN and others. The ASEAN Cultural Fund signaled a new mode of Japanese diplomacy that may be termed as “embedded initiative” –Tokyo embeds its initiatives within a multilateral framework and presents them as collective wisdom. In the case of the Cultural Fund, for instance, ASEAN members even have full jurisdiction over the operation of the fund. Fukuda’s successors would follow his example with remarkable success. According to Japanese foreign ministry’s surveys conducted in five ASEAN member-states (Indonesia, Malaysia, Thailand, Singapore, and the Philippines), the percentage of those who felt Japan’s war atrocities should never be forgotten fell from over 30 percent in 1978 to 20 percent in 2008. During the same period those who felt that the past should be put to rest rose from 37 percent to 68 percent. In addition, the vast majority of respondents felt their countries’ relations with Japan are “good” or “generally good.” Roughly the same percentage of respondents agreed that Japan could be “trusted” or “generally trusted.” Japan’s charm offensive was solid enough to embolden Japanese Prime Minister Takeshita Noboru to openly call the region Japan’s “power base” in the late 1980’s.